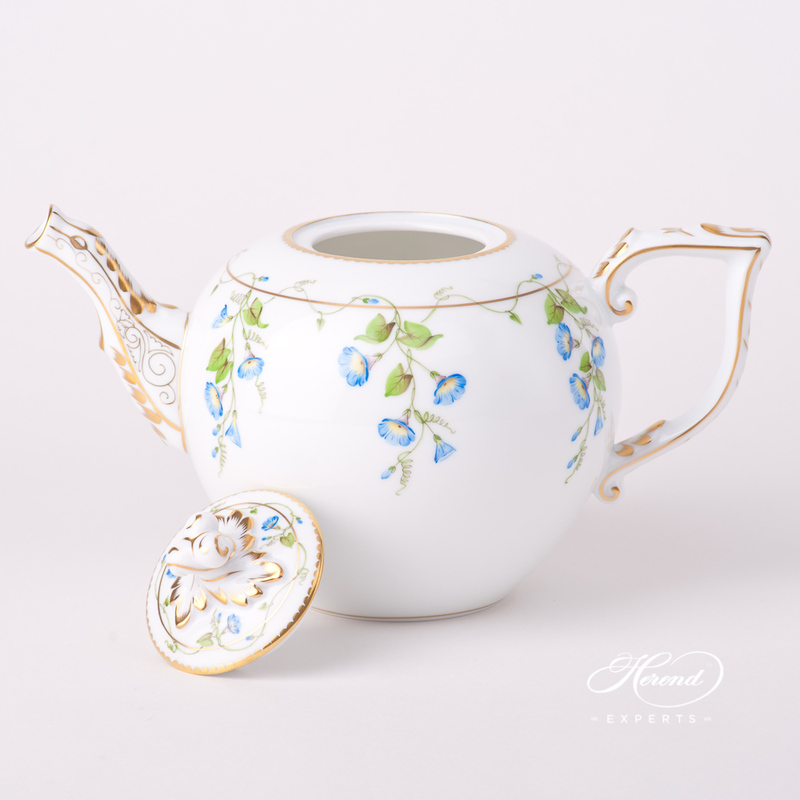 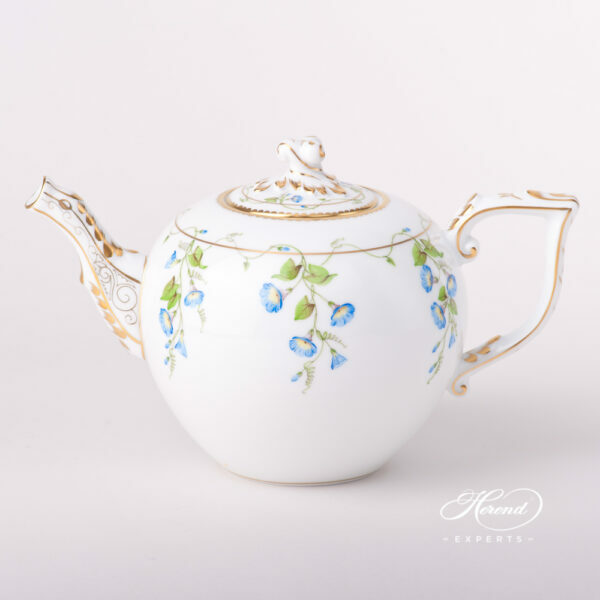 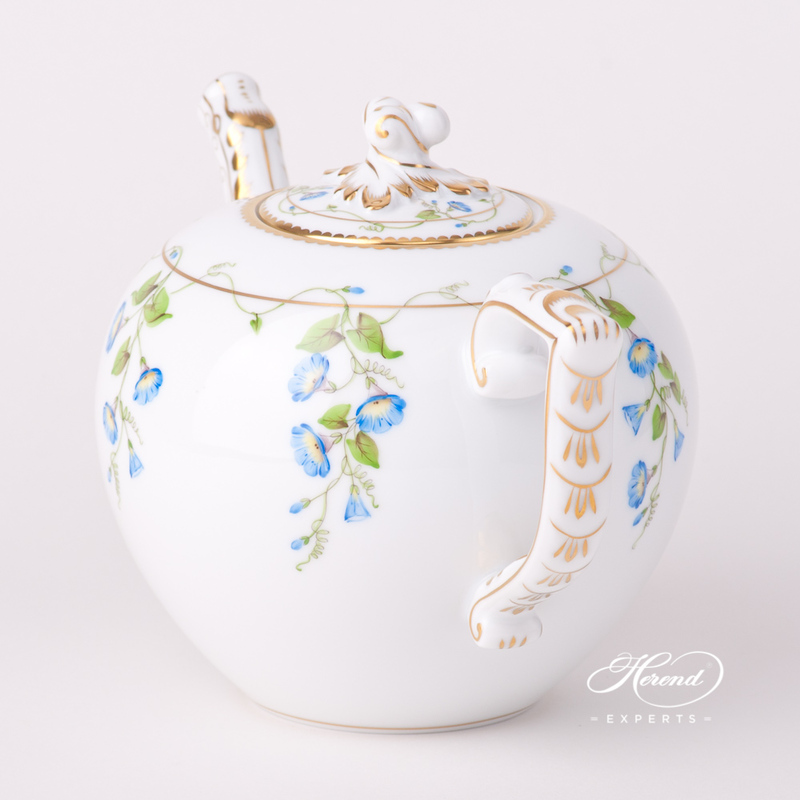 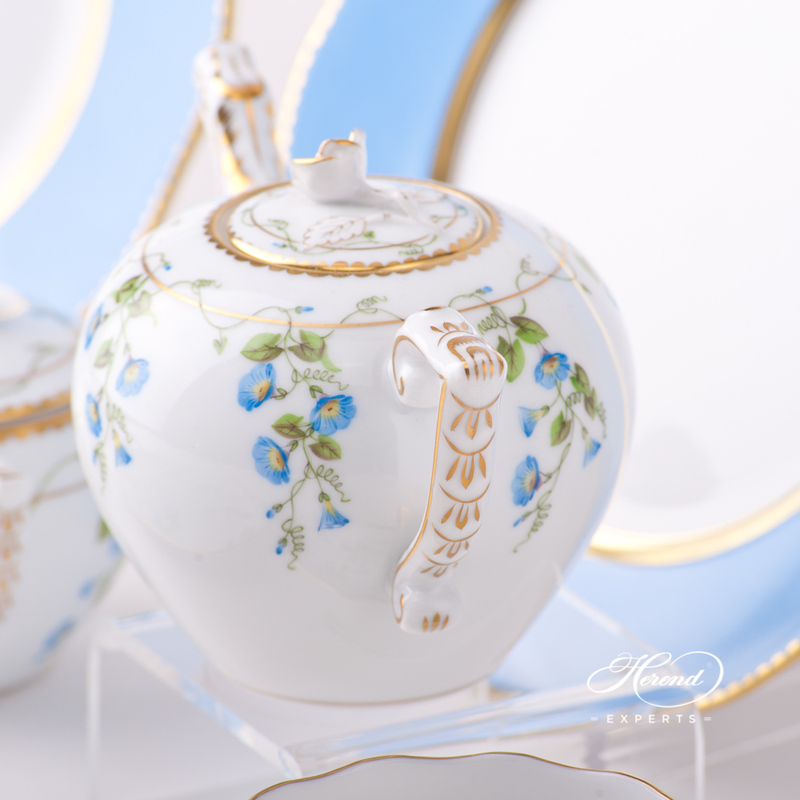 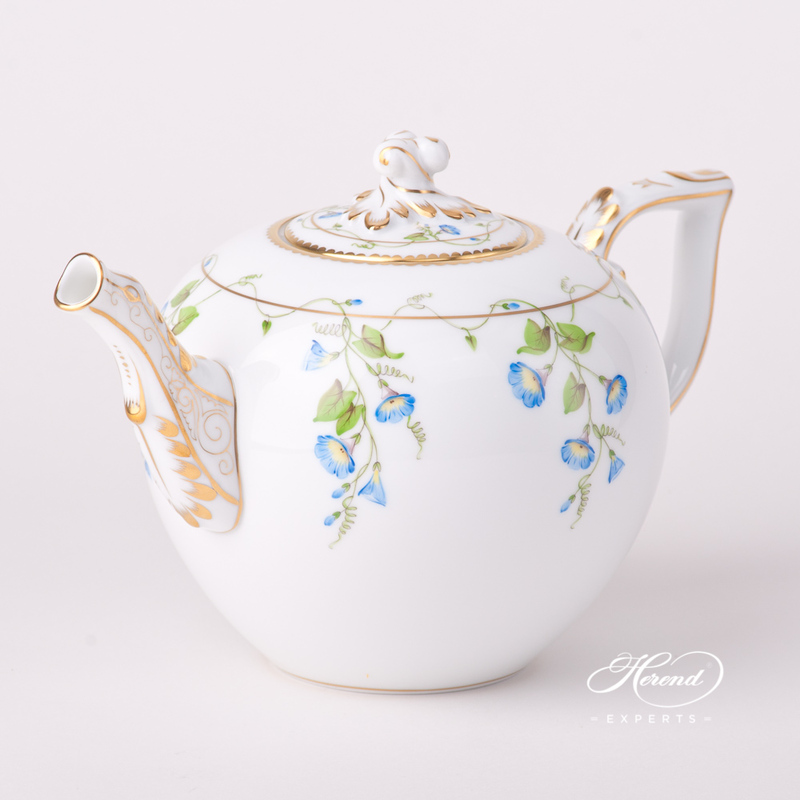 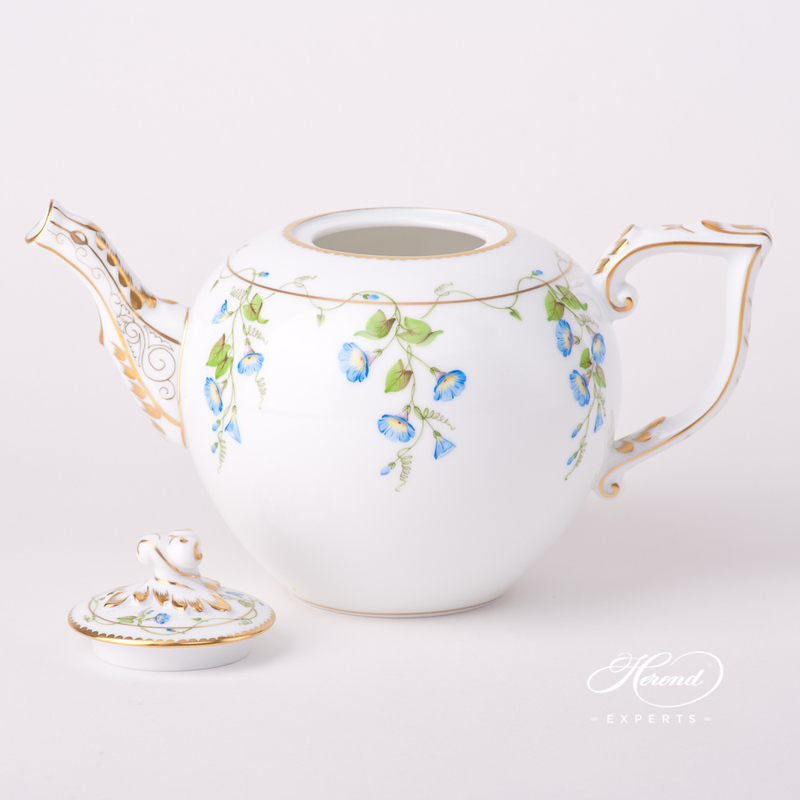 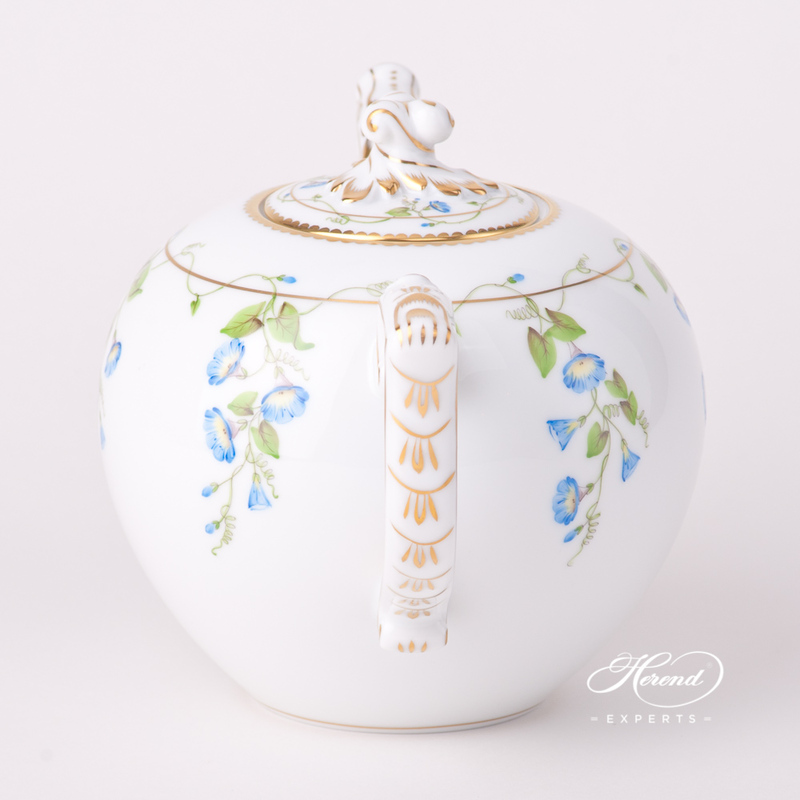 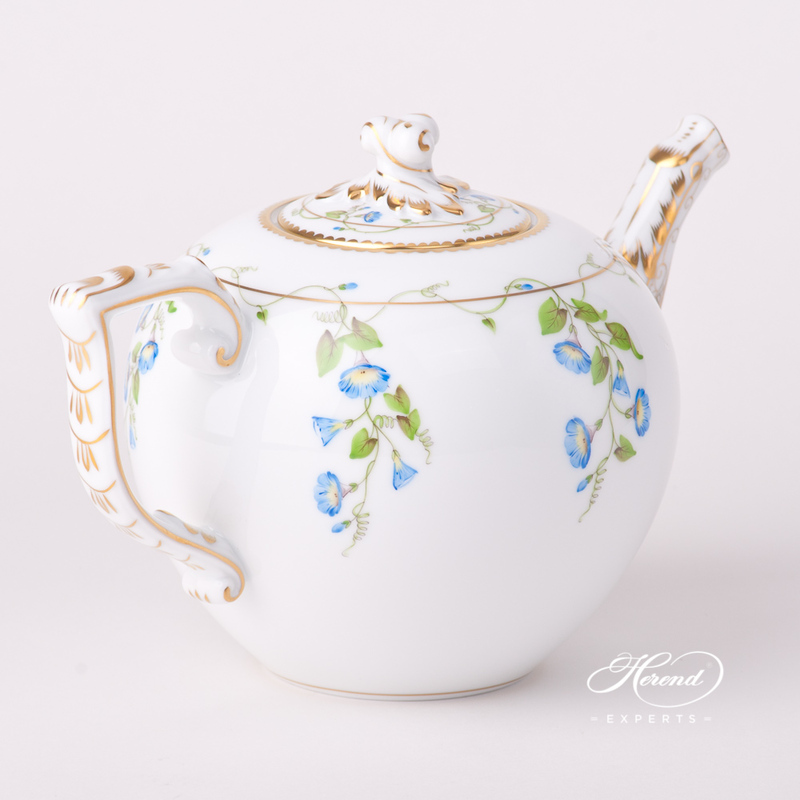 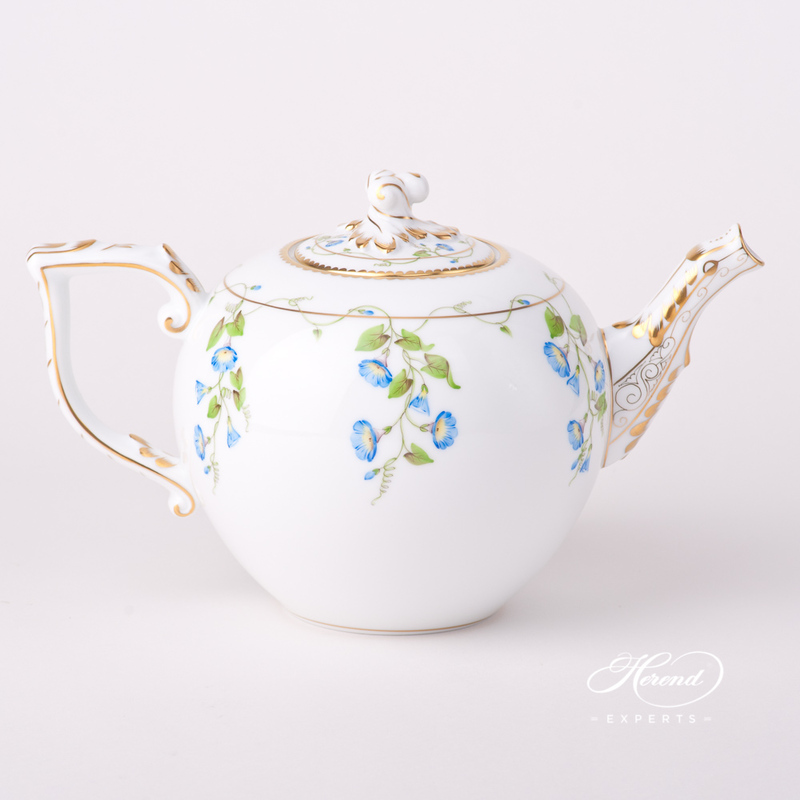 Herend porcelain Tea Pot w. Twisted Knob – Herend Nyon / Morning Glory design. 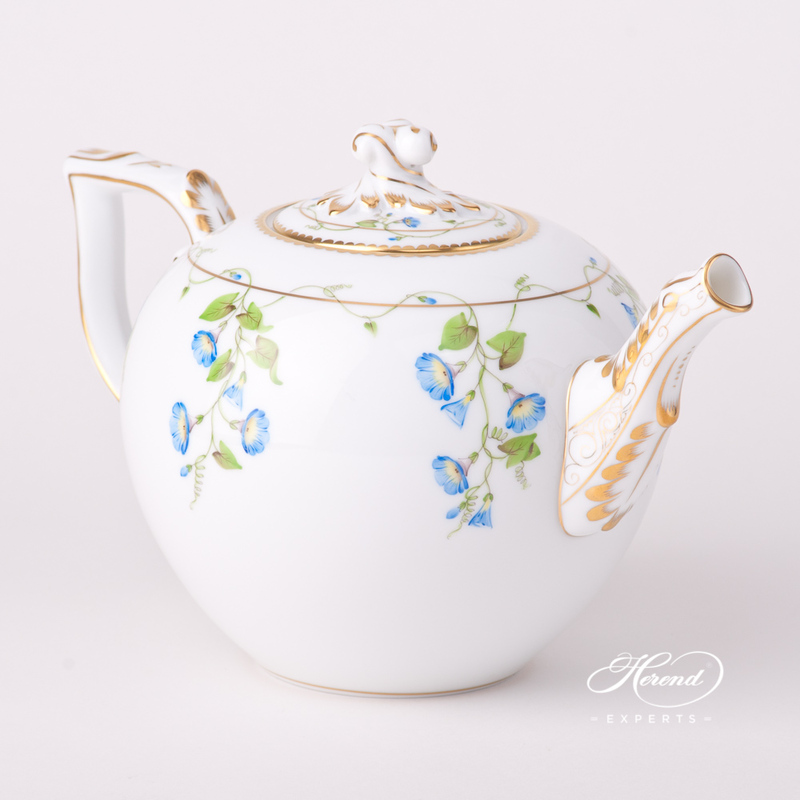 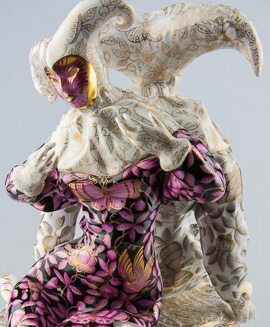 The Nyon / Morning Glory pattern is available in Tea, Coffee, Turkish Coffee, Espresso Sets and Dinner Services as well. 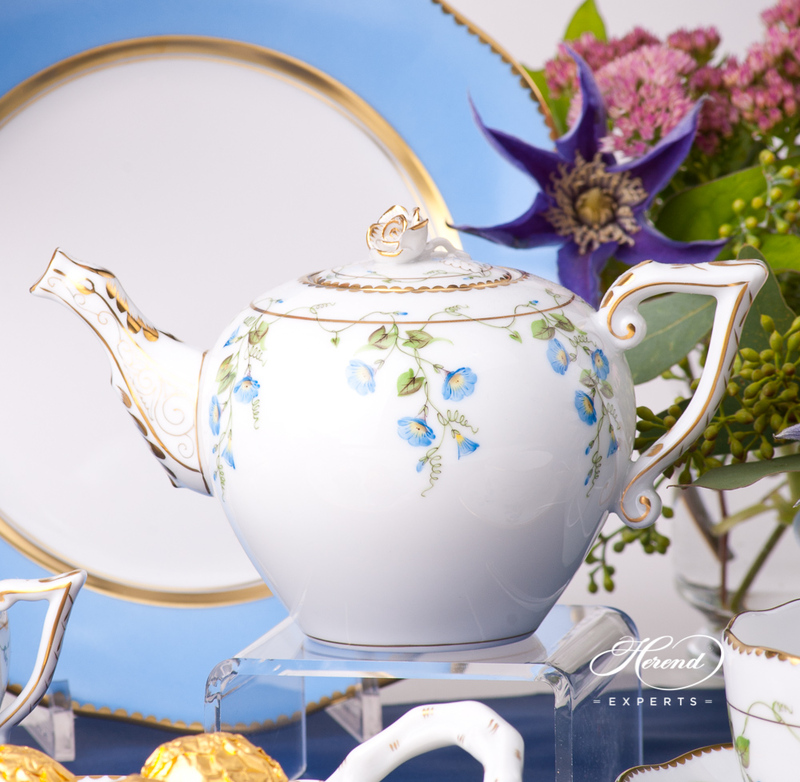 Dinner Plate - Mosaic and Flowers MTFC pattern. 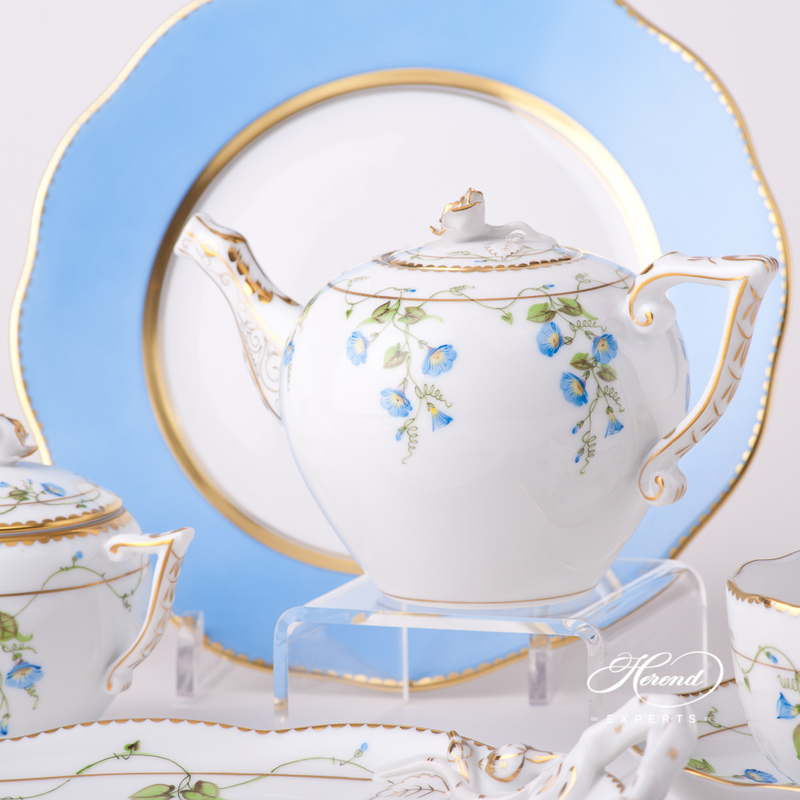 Herend fine china - 20524-0-00 MTFC classic design. 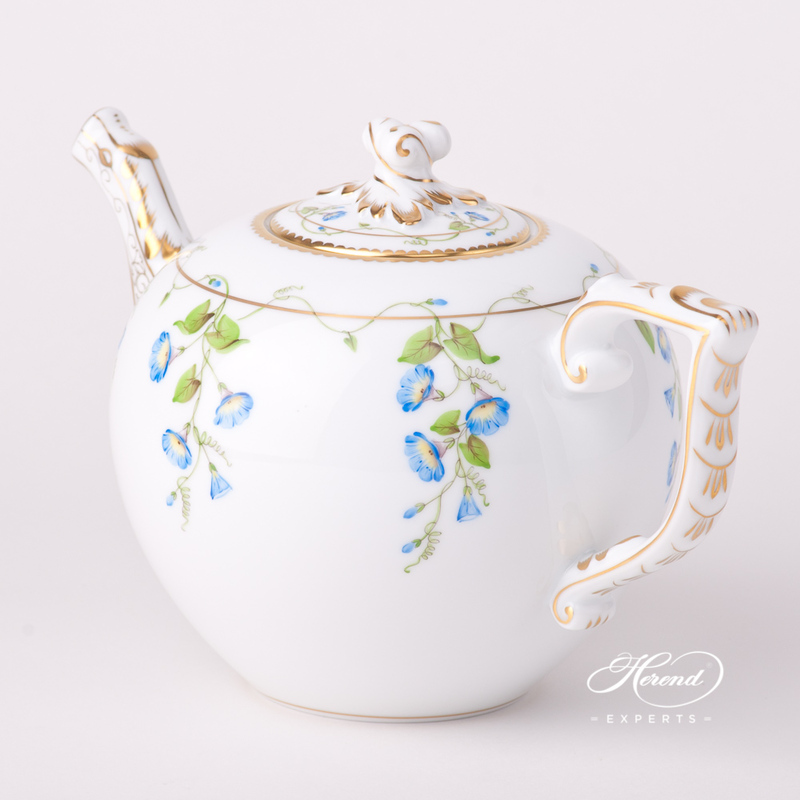 Mosaic and Flowers MTFC design is a classical Herend pattern. 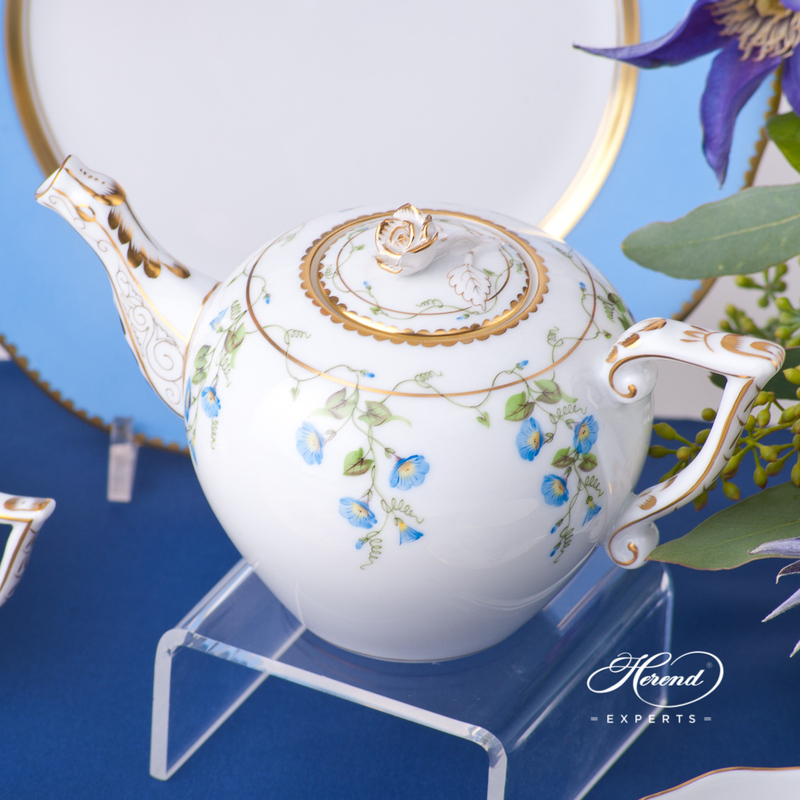 Painted only by Master Painters.